What do a hobbit, Washington Park Arboretum, New Zealand, and middle earth have in common? Themes! This year’s Northwest Flower and Garden Show display garden theme is The Silver Screen Takes Root. 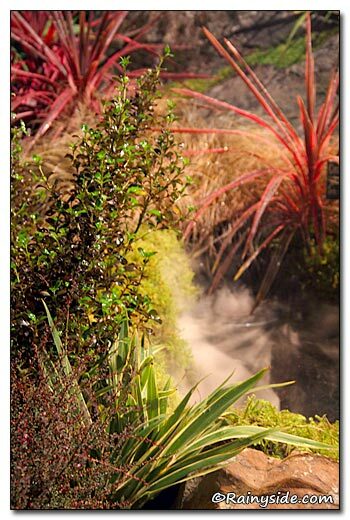 Seattle’s Washington Park Arboretum dedicated their display garden to their new eco-geographic “New Zealand Forest,” which will be planted this year in the arboretum. 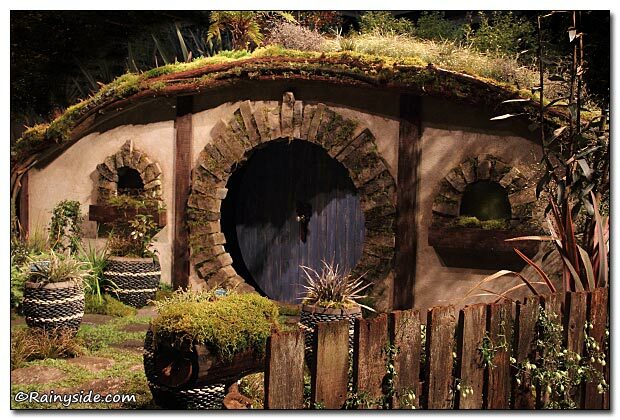 Since all the Lord of the Rings movies and The Hobbit were filmed in New Zealand, what better way to pay tribute to these marvelous films and the arboretum than a hobbit home and garden? 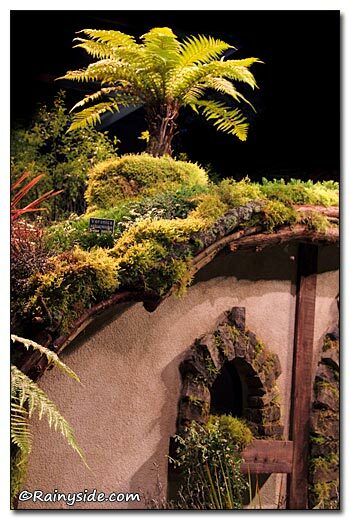 Roger Williams, Rhonda Bush, Phil Wood, and Bob Lilly all did an outstanding job designing the house and garden, and it's one of the best hobbit houses I've seen! The living roof is spectacular, filled with plants from down under. A tree fern (Dicksonia antartica) acts as a show-stopping roof topper. 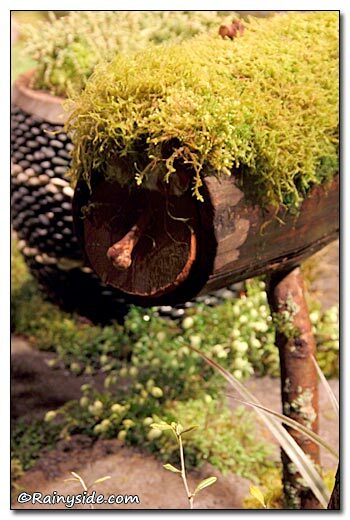 The hobbit mailbox and a steamy water feature were creative touches, which are surrounded by more exotic plants from these southern islands. 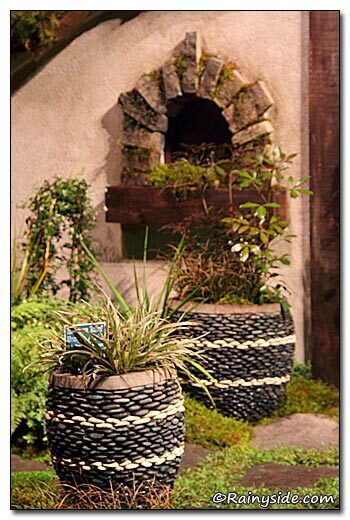 This garden is sure to be a favorite!